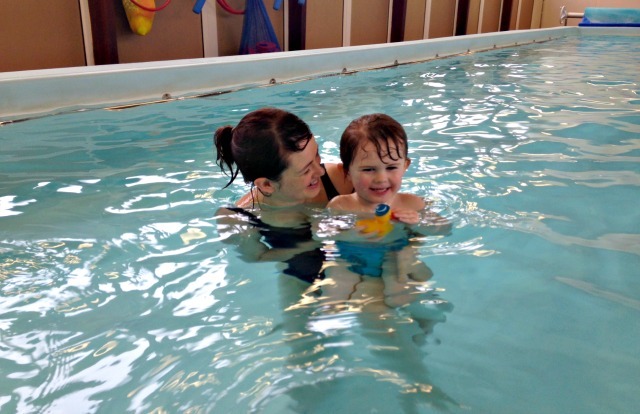 I have written before about our experience with Puddle Ducks swimming lessons but now we have come to the end of our block of lessons and I wanted to follow up with how much Lucas has progressed over the course. I have been amazed at how perfectly their programme has suited him; it would be fair to say that he really is not a natural in the water so I was a little anxious when we started Puddle Ducks swimming lessons. I wasn’t sure how he would take to it, if he would improve; I was terrified that he would spend each lesson crying and protesting. On our very first lesson our swimming instructor told me not to worry about him crying, that he would settle down, she was obviously experienced and had seen this before. Each lesson the crying would become less and less then he would laugh and giggle in the water, every week he would do a little bit more. On our last lesson we had the most incredible breakthrough; Lucas volunteered himself to swim under the water! None of us could believe it as he allowed us to guide him under water and through a hoop. I really didn’t think he would progress so quickly and it really is a testament to this swimming programme that he has done so well. One of the key things about the Puddle Ducks swimming lessons is that they make the whole experience fun; fun for the parents and fun for the children. Even getting in the water is fun and every skill is taught very subtly through a song or game. They work on building up a child’s confidence in the water, teaching them important skills and making sure they are comfortable. They involve the children and the parents and I believe that I have become more confident with guiding Lucas in the water. 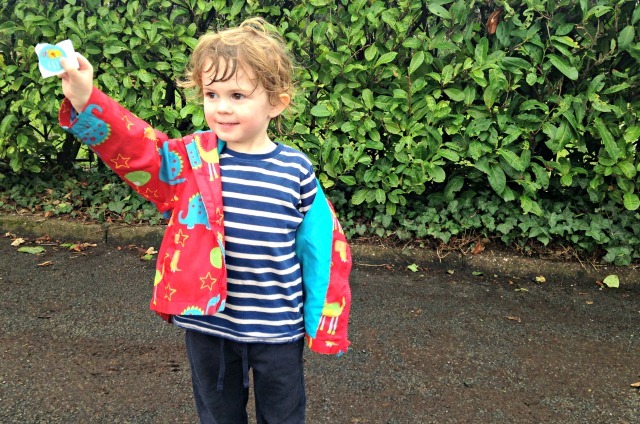 The Puddle Ducks swimming programme has worked brilliantly for Lucas and I think there are several reasons for that. Firstly, I am in the water with him; this puts him at ease right away and he always has me there for reassurance. Secondly, each activity can be taken at each child’s own pace. Lucas was in the Kickers class and even though the other children are younger than him they were amazing in the water, so confident and gave everything a go. Lucas wasn’t at that stage yet so each activity the instructor gave us a different option if she thought Lucas wasn’t ready. Each week we tried more and more, tipping water over his head, holding onto my back as I swam, jumping off the floats until finally he was happy to go under water himself. Being able to do it in his own time has undoubtedly helped him gain confidence. If you are thinking of starting swimming lessons for your child I would say it is never too late! 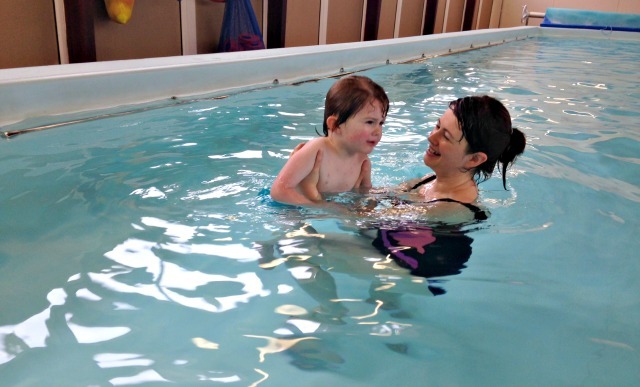 Lucas is 3 1/2 and he had never had a swimming lesson before so don’t let it put you off. There is a friendly and approachable atmosphere in the class and everyone involved with Puddle Ducks is happy to help with any questions. Our class had an instructor who was in the swimming pool and a poolside assistant; both were brilliant with us and always encouraged Lucas to do his very best. The best recommendation I can give is that I’m signing Lucas up for another term of lessons, the progress he has made has really encouraged me to keep it up. I now know that he can become happy in the water and will learn important swimming skills if we keep encouraging him and keep up our Puddle Ducks swimming lessons. Puddle Ducks South Lancs are taking bookings for the next term of lessons starting after Easter, to find out more have a look at their website or say Hello to them on Twitter or Facebook. Lucas showing off his special sticker for going underwater. 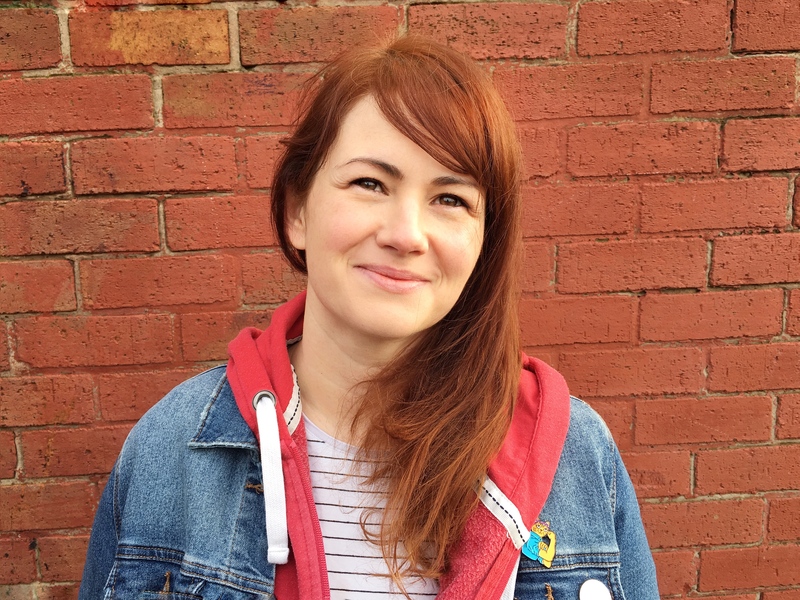 Disclosure – We have received a series of Puddle Ducks swimming lessons for free but all thoughts and opinions are honest and my own. Ahhh bless him he looks very pleased with his sticker and well done to him for doing so well. I remember when we first took Z to the pool and he absolutely screamed the entire place down and then would go only in where it was ultra shallow and about 2 inches deep 🙂 He loves it now but still has his hit and miss times.